Do not panic my little lambs, I am here to save your little *tuckaes! Put the butter and icing sugar in a large bowl and beat together with an electric whisk until very pale and fluffy. Add in the vanilla extract and egg yolk and beat well with a wooden/silicone spoon. Sift in the flour and mix with your hands into a firm dough. Work the dough into a smooth ball with your hands, (if it’s a bit dry, run one of your hands under the cold tap and shake the excess water off, then hold the dough, this’ll give it a little bit of help sticking together without over doing it as you’d then be left with a gooey mess!) wrap the dough ball in clingfilm and pop it in the fridge for an hour (this gives you shower/beautification time – not that you need it you lovely lot!!). Preheat the oven to 190C/gas 5 and line 2 baking sheets with greaseproof paper. Place the dough on a floured surface and roll out until about 3mm thick. 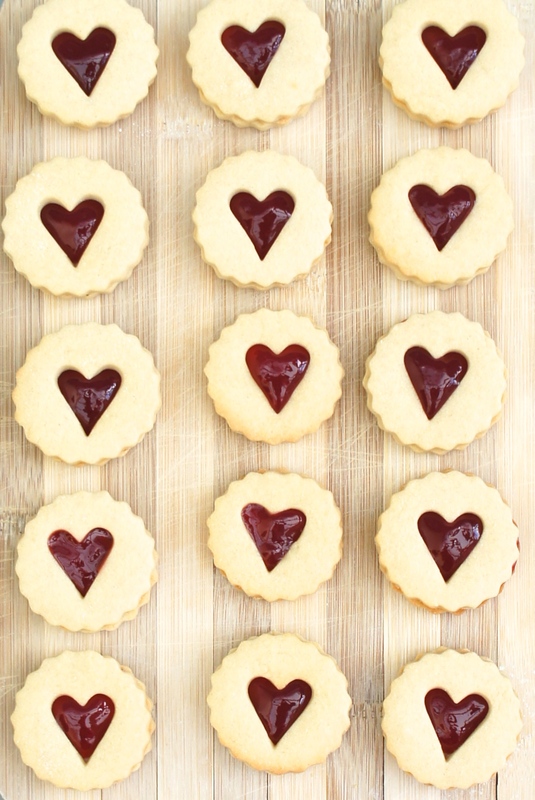 Using a round 4cm biscuit cutter, cut out an even number of circles, then use a mini heart cutter (or mini round cutter) to make little windows in the centre of half of the biscuits. Transfer the biscuits to a wire rack to cool. While they are still warm, sprinkle with a little caster sugar. Once the biscuits are completely cool, sandwich them together with a small teaspoon of jam. Make sure the biscuits with a hole cut in them are placed on top of those without. I’m in love with these and didn’t know how to make them.Now I know.Thank you for sharing! Thank you so much Laura, what a lovely thing to say! 🙂 Aww isn’t your hubby a good fella! 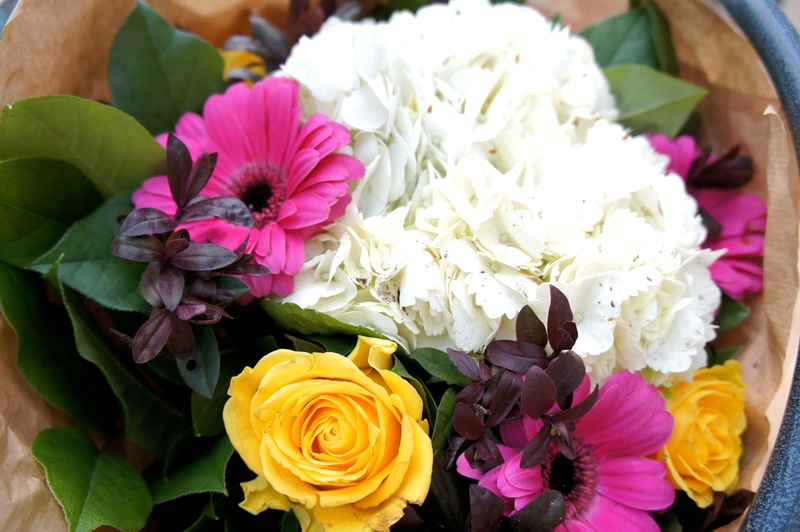 We had a lovely Valentine’s, Himself got me the beautiful flowers you can see at the end of this post and baked scones for me too! Nice photos, this looks delicious and cute!